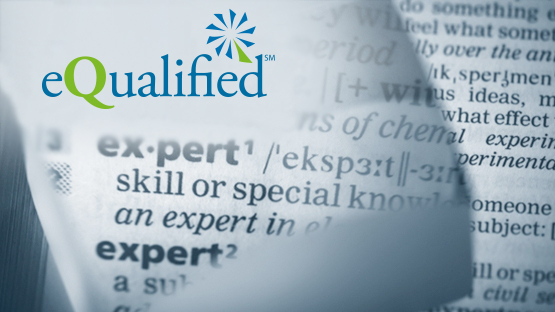 eQualified is a global industry-managed system for qualifying special process aerospace personnel. Participation in the eQualified program brings value both to the individual and employers. With regard to personnel competency validation, eQualified empowers all parties to influence, collaborate and be part of the change taking place in industry. Qualifying internal auditors: provides a system of skills verification for the staff of Prime or Tier One companies who carry out Supplier Audits. eQualified leverages the combined knowledge of aerospace industry experts to develop and maintain special process Bodies of Knowledge (baseline knowledge and experience required to be considered competent for a target position) and examinations, which form the desired global aerospace industry standard for special process activities. The program offers three levels of qualification. The type of assessment used is dependent on the level of qualification (see below). The examinations are taken online and are controlled and documented in accordance with a written practice in order to evaluate and verify the individual’s capability, skill or knowledge. Process Operator – Understand and perform the basic hands-on operations of the special process. Qualification is through online multiple choice exam. Process Planner– Capable of selecting manufacturing processes and interpreting process procedures to conform to customer specifications and requirements. Capable of problem solving and resolving day-to-day issues.Qualification is through online multiple choice exam and forms a pre-requisite for Owner level qualification. Process Owner – Capable of writing, reviewing and approving processes, procedures and qualifications of lower levels (Operator and Planner). Capable of designing new processes and resolving issues on all other levels. Qualification is based on a submitted portfolio including Planner level exam results, experience survey, resume and employer sign-off. Training is not mandatory to complete the examinations but eQualified approves training providers. A list will be available at http://equalified.org. Please contact us for more details.